Highly recommended tonearm by Jeff Spall. Uses a Rega armtube, but virtually every other part is custom made. Incredible value for money. Check out the Audiomods web site here for more info. Vinyl Engine is a good forum with lots of useful information. Lencoheaven is another good site for analogue lovers. To visit the site just Google Lencoheaven. 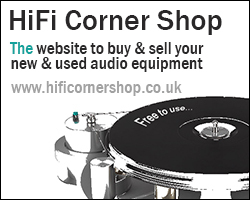 Very good site for audiophiles. Selling quality cabling,Mains-Cables-R-Us Ltd has a clear mission, to help people get more pleasure from listening to their hi-fi system or watching their AV system. We make products that work and will not sell you something you don't need. We treat our customers the way we would expect to be treated ourselves. Based in West Yorkshire, we are here to help. KeyStrobe strobe lights & discs - made for music lovers, are now used by several leading turntable manufacturers for adjusting and verifying their product’s accuracy. Please visit the web site here.